I’m ready to final-size the legs which means using the template I created awhile ago. 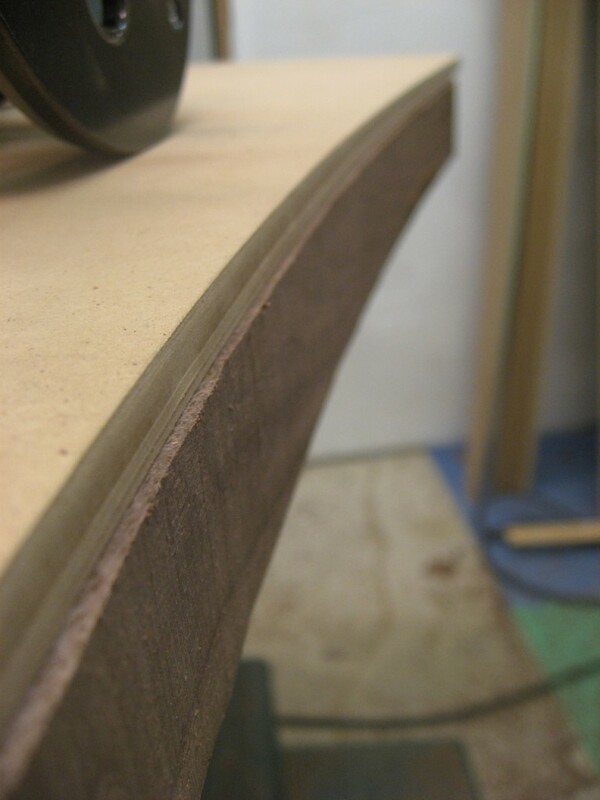 I first traced the curve onto both sides of the workpiece. Then over to the bandsaw to remove the waste. I use the bandsaw to cut within 1/16" of the curve line. 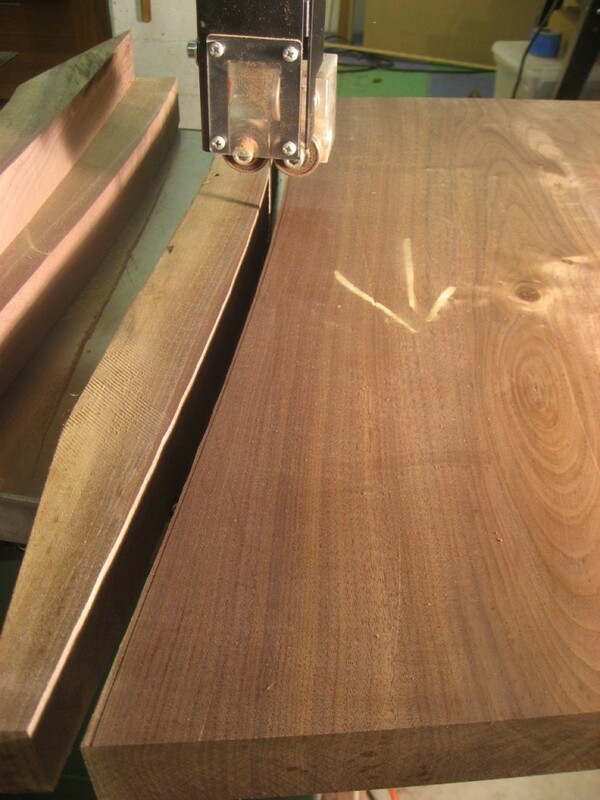 I try to cut about 1/16″ outside the lines so that there’s not too much material to remove with the router. The template is just shy of the workpiece below. I clamped the template on top of the workpiece (and my bench). 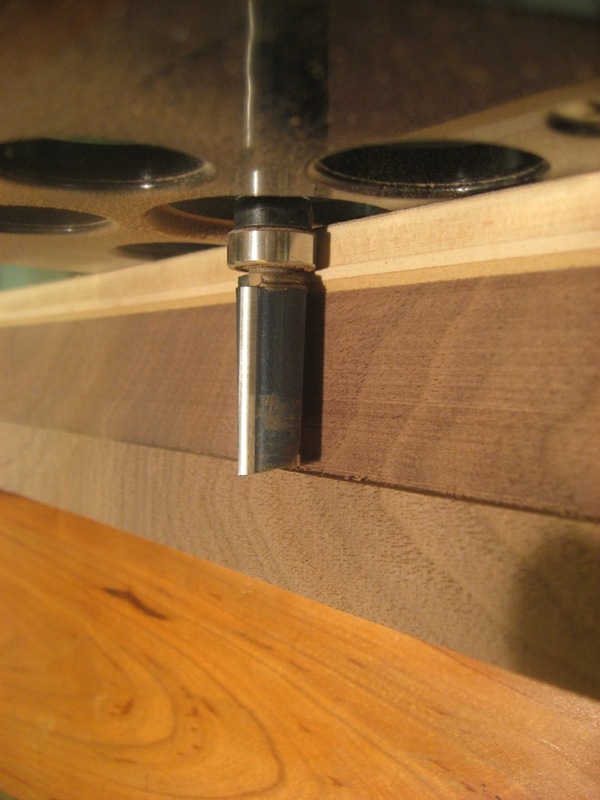 I used a 1″ pattern router bit (similar to this one) to ride against the template. A pattern router bit rides on the template to flush up the workpiece. Since my leg is almost 2″ thick, the 1″ bit didn’t reach all the way across. Unfortunately I didn’t take a photo, but I flipped the workpiece over and finished it off with a flush trim bit that rode against the already-routed section. Some sanding and scraping quickly blends across the two routed sections. Show Us Your Carving Followup: Michael Sweet The Plane Facts: Lie Nielsen #101 Violin Maker’s Plane – Just don’t let the name fool you!